For more than 20 years, Avalon personal injury lawyers at Ellis Injury Law Firm have recovered over $350 million for clients injured in automobile accidents, construction site collapses, medical mishaps, slip and fall accidents, police brutality incidents, and a result of other negligent causes. When you are injured through no fault of your own, many different parties can be legally responsible. Sometimes the facts surrounding the accident do not become clear without the legal investigation and initiatives of a personal injury lawyer who cares. Personal injury accidents can happen to anyone, anywhere. We’re proud to call the picturesque seaside village of Avalon home, where there are 4,000 year-round residents and over one million annual visitors. Award-winning litigator Andrew Ellis represents the best interests of his clients in court, whether they are California natives or travelers injured while passing through Santa Catalina Island on vacation. You’ve only got one chance to plead for recompense before judge and jury, so why trust the intimate details of your case to just anyone? 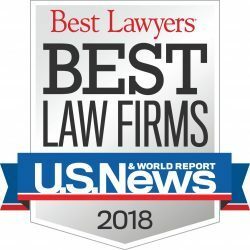 US News & World Report rated us one of the “Best Law Firms” in 2018. The National ranks Andrew Ellis among the top 100 personal injury lawyers in the country. We’re recognized by Best Lawyers, Super Lawyers, and the Multi-Million Dollar Advocates Forum for achieving top-dollar results for clients, positive feedback from our peers, and adhering to the highest standards of integrity. Many Californians mistakenly assume that insurance companies are designed to take care of them following an injury. After all, for automobile crashes, there is auto insurance and medical insurance. For workplace injuries, there is workman’s comp. For premises liability slip and falls, you may be offered a settlement by the property owner’s insurance company. You may also consider disability insurance as a way to compensate you during recovery time off from work. Despite the fact there are many types of insurance out there, the fact is plain: insurers are out to make a profit. If they don’t outright deny your claim, they’ll send out adjusters looking to discredit you or find other ways to aim to settle the case for as little as possible. You need someone whose best interest is to get YOU the most amount of money to fairly compensate you for your injuries. An advocate from the Ellis Personal Injury Firm can serve as a compassionate ear and valuable ally during these difficult times. 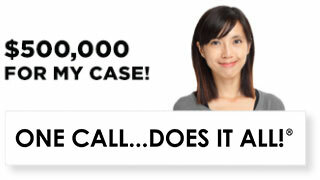 You might end up taking the settlement an insurance company offers, but we’ll make sure they pay what you deserve. 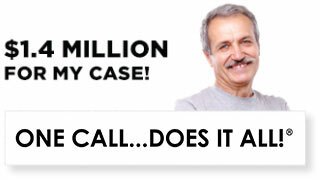 How much can a personal injury attorney get for your injuries? Victims of negligence may be eligible for compensation for tangible expenses like past and present medical bills, home renovations to accommodate disability, or lost wages from work, as well as intangible costs for future medical expenses and loss of earning capacity. Often, “emotional pain and suffering” accounts for the biggest portion of a settlement or jury award. Damage awards can never be guaranteed and the “pain and suffering” calculation can be ambiguous. This is where hiring a skilled negotiator and litigator becomes particularly valuable. In the event that a person succumbs from accidental injuries, the family may sue for “wrongful death” to collect for medical expenses, burial and funeral costs, pain and suffering, and loss of income, loss of consortium, as well as loss of companionship, support, and guidance. When you’re recovering from surgery, serious injury, or illness, finances should be your last concern. A consultation with a personal injury attorney from Ellis Law is always free, so you shouldn’t hesitate to call and explore your legal options. 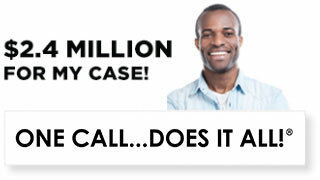 In fact, you only pay a personal injury attorney IF and WHEN you receive money from a settlement or jury award. Hiring the right team with experience winning will help you secure maximum compensation. For most personal injuries, the State of California gives plaintiffs up to 2 years from the date of the incident to file a personal injury lawsuit. 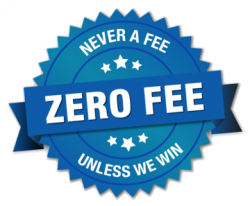 However, even if you’re not 100% sure you want to sue, it is best to speak with legal counsel as soon as possible. In addition to helping you document your case properly and assemble all the necessary evidence, we can point you in the right direction of obtaining the best possible medical care. Exceptions to the Statute of Limitations exist when the root cause of the injury was not discovered until years later. California’s “Delayed Discovery” rule allows plaintiffs up to two years from the realization of injury to file suit. Therefore, it is always best to consult with an attorney, rather than assume you’re beyond help. Remember, the sooner you act, the quicker you can put the brakes on negligent or reckless parties to prevent similar injuries from happening to others. Contact the Ellis Personal Injury Law Firm in Avalon for more information.